Coffee lovers and drinkers should worry no more as the recent studies by the WHO (World Health Organization) proved that coffee didn't cause cancer. In an announcement on Wednesday, World Health Organization stated that coffee is off the list of foods and beverages that can cause cancer. There were only limited evidences that prove that drinking coffee causes cancer. Coffee, in general, is cancer-free. However, World Health Organization warns people about drinking extremely hot beverages. Studies showed that the heat of any beverage could be the cause of cancer, not the beverage itself. 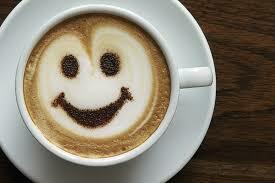 Several studies also showed that drinking coffee could actually be good for one's health. Coffee was proven to help reduce the risk of liver and endometrial cancer. Other research also proved that regular intake of coffee can help reduce the risk of acquiring heart-related diseases; diabetes and can also prevent early death. Previous studies showed that coffee is considered a staple drink of Filipinos, and that Pinoys consume almost 100,000 metric tons of coffee a year.